Instant relief from itchy and irritated skin. Dr Hauschka know only too well how difficult it can be to deal with particularly dry skin, or skin suffering from atopic dermatitis. Frequent flare-ups can be difficult to deal with and ignore. 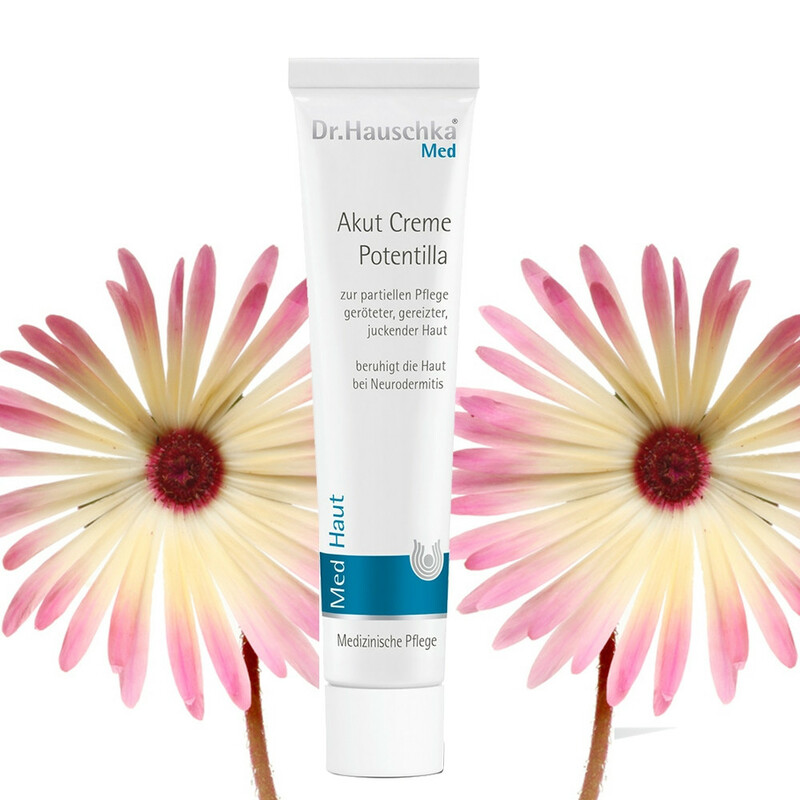 Acute Cream Potentilla is designed to produce fast-acting relief on skin which is inflamed and irritated. By applying the cream the instant you see redness start, it will allow skin the time it needs to heal without the problem being exacerbated by scratching – especially useful for children. With regular use, skin will re-harmonise and be better equipped to reduce episodes of extreme irritation. Produced with Sesame Seed Oil, Jojoba and Shea Butter for soothing protection. Unperfumed and easily absorbed this is ideal for infants and young children. Skin Type: Perfect for dry, very dry and itchy skin, and for skin that is prone to atopic dermatitis (eczema). Application: Apply to the affected areas of skin several times a day as required. Tip: A cool, damp compress with Intensive Ice Plant Cream can also help alleviate itching. Matching Products: In addition, Dr Hauschka also produce Ice Plant Face Cream and Intensive Ice Plant Cream for particularly problem skin. Ingredients: Water (Aqua), Sesamum Indicum (Sesame) Seed Oil, Alcohol, Glycerin, Simmondsia Chinensis (Jojoba) Seed Oil, Potentilla Erecta Root Extract, Ricinus Communis (Castor) Seed Oil, Glyceryl Stearate Citrate, Butyrospermum Parkii (Shea) Butter, Theobroma Cacao (Cocoa) Seed Butter, Cetearyl Alcohol, Sucrose Stearate, Sucrose Distearate, Xanthan Gum, Amyris Balsamifera Bark Oil, Rosmarinus Officinalis (Rosemary) Leaf Extract.